As an esthetician, not a week goes by without someone asking me, “Renée, I’m thinking about getting fillers or doing some Botox. Should I do it?” Because I’ve been working with skin and staring at faces for over 30 years, I am a trusted resource for my clients and friends. I have no motives other than to share my honest thoughts and to help you look your best. 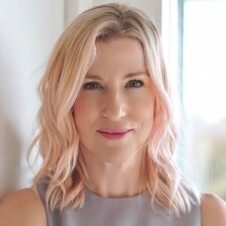 In this post, I’ll share a few things you might want to consider before getting Botox or dermal fillers put into your face. Hopefully, this will help you make the right decision. Botox injections use a toxin called onobotulinumtoxinA (a purified form of the botulinum toxin, which is produced by certain bacteria). According to the Mayo Clinic, “Botox injections block certain chemical signals from nerves, mostly signals that cause muscles to contract.” This relaxes the muscles and essentially “freezes” them to minimize repetitive facial movements that can lead to lines and wrinkles. A Botox injection will typically last three to six months, depending on how quickly your body metabolizes it. You should start to see results one to three days after receiving the injection. Fillers are most commonly made of a hyaluronic acid gel, though there are other options like collagen and various synthetics. As we age, we start to lose volume in our faces due to a natural decrease in hyaluronic acid and collagen. Fillers can restore some of this volume and can be used to “fill out” wrinkles. Fillers last anywhere from a few months to a year depending on the type of filler that was used. Should I Get Botox or Fillers? Five Things to Consider. 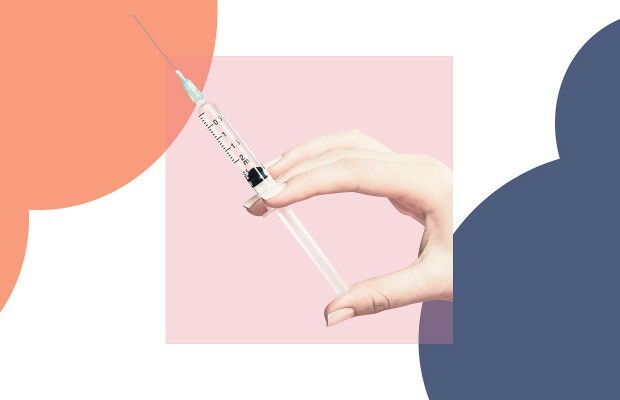 Even though injections are considered noninvasive, you should think carefully about your decision before pulling the trigger. Here are a few things to consider if you’re still on the fence! 1. Make sure Botox or fillers will give you the results you’re looking for. “What about your face is bothering you, and what are you wanting to improve?” This is the first question I ask someone who is considering altering his or her face with Botox or fillers. A lot of people point to concerns like dull skin, bumpy skin, large or clogged pores and brown spots. While these are understandably bothersome, they aren’t best addressed through dermal fillers or Botox. The other answer I’ll hear is, “I’m looking older and feel like I should do something about it,” or, “I’ve started noticing X lately, and it’s really bothering me.” I’m more inclined to steer someone toward injectables when they give this type of answer, especially if they’re 35 or older. If something specific is really bothering you as you start to age, there’s nothing wrong with doing something about it. At this point, I’ll grab a mirror and have the patient actually show me what’s bothering them about their face. This process might help us discover that some of these things can, in fact, be improved with fillers or Botox. This includes deep wrinkles, such as laugh lines, a thin upper lip, under-eye wrinkles and sunken eyes that lead to dark circles. Depending on your goals, there are plenty of other treatments that will make the skin look brighter, smoother, clearer and even tighter. 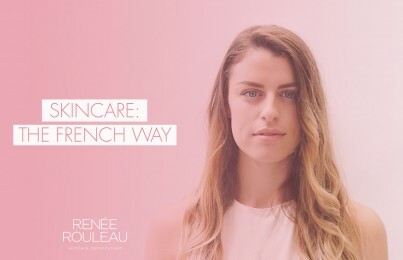 Consulting with an experienced doctor or esthetician is the best way to determine whether one of these alternatives can give you the results you’re looking for. A topical retinol or retinoid should be the first step for ANYONE who wants to turn back the clock on their skin. Read my beginner’s guide to using retinol or prescription retinoids. Professional or at-home chemical peels like Triple Berry Smoothing Peel will significantly improve skin texture and improve brightness. Read how to get brighter-looking skin. Laser Treatments can help with anything from resurfacing the skin to plumping by building collagen. Radiofrequency and Ultrasound are great options for noninvasive skin tightening. LED therapy can also help build collagen at certain wavelengths. 3. Find a REPUTABLE doctor who is looking out for your best interests. If you decide on injections, the best way to ensure you get the results you’re looking for is to consult with a reputable, experienced doctor. I have mixed feelings when I hear someone say, “My doctor thinks I would benefit from getting a little filler put in.” For starters, we can be easily influenced by others when our insecurities are involved, and doctors know this all too well. Some doctors are aggressively looking to incorporate more cosmetic procedures into their practices because they can be quite profitable. This means they might be pushing these procedures onto patients for the wrong reasons. I truly wish this weren’t the case, but sadly it can be. Many people also think that, because injections are noninvasive, there aren’t any risks involved. While side effects at the hands of a licensed injector are rare, there’s always a possibility. For this reason, it’s so important that you go to a licensed, medical professional who is trained to deal with any potential side effects. It’s all about trust, so the key is finding someone who puts you at ease, listens carefully to your goals and concerns and doesn’t pressure you. Make sure whoever you go to really understands what you’re looking to get out of your injections aesthetically. 4. After age 45, you might want to consider other cosmetic options. Many doctors are promoting Botox and fillers as a less invasive way to re-sculpt, plump and tighten the skin in lieu of traditional facelifts. In my experience, injectables and technologies like radio frequency or lasers can certainly hold things together up to a certain point in someone’s life. However, there comes a time when a traditional face- or neck-lift is the most effective way to get the results that people are looking for. It can be very challenging to make loose skin look tight again with fillers and lasers—all while maintaining a natural look. You can hit a wall with noninvasive treatments, so it’s important to consider all options and get several opinions from experienced cosmetic doctors. 5. 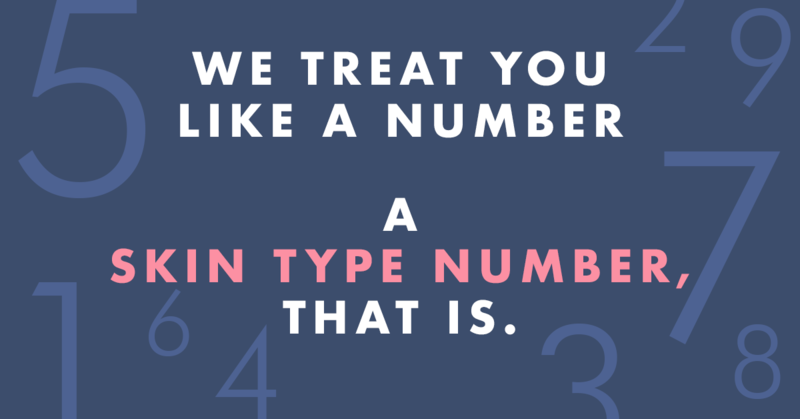 Be sure you’re getting Botox and fillers for the right reasons. These answers are especially common for people in their 20s and 30s. Many will see a friend or celebrity who had something done, and this will plant the idea in their head. These responses are red flags because I want to know how they feel about their own appearance— not about what a friend or celebrity does to their face. What I often discover after a little conversation is that many young people don’t have an issue with their face at all, they are simply experiencing FOMO and want to participate in the latest trend. I can’t tell you how many times I’ve gotten people to really think through the reasons they’re considering these types of procedures, only for them to discover that they are creating a problem where there was never one to begin with. If I get one of these red-flag answers, my follow up question will always be, “When you look in the mirror, are you frustrated with what you see?” Sometimes, an esthetician needs to act like a counselor in order to help a client understand the root of their issues. If a client realizes that they are unhappy in another aspect of their life, they often decide that a cosmetic procedure isn’t the answer. I’ve certainly had clients who come to the conclusion that what they need most is to get back into therapy to work on self-acceptance. In the end, the best advice I can offer is to make sure to do it for YOU and only you. Don’t do something because you feel like it’s what society expects of you. Many people want to know what I get done to my face, and I’m never afraid to share. At age 49, I get Botox around my eyes and in between my brows, and I do really like the result it gives. Two years ago, I had some filler put in the little lines above my upper lip, but I didn’t like how it made my skin look a little thick, so I let it wear off. I could certainly be more aggressive and get filler put in other areas of my face, but I’m comfortable with the aging process and want to keep a really natural look. My worst nightmare is turning into one of those people who can’t see when it’s been taken too far. For me, I’m obviously much more focused on good skincare. I focus on doing everything I can to create a smooth, even-toned texture for my skin with tight-looking pores than I am about erasing every wrinkle that shows up. It’s a battle that I won’t ever win and I’m not willing to go to extremes to have the skin of a 25-year-old. I’ve been sunscreen as a moisturizer every day since I was 28, and I’ve been a retinol serum since I turned 41. These both have been game-changers for preventing and reducing skin damage. I also feel lucky that I have at least one of the three facial features that will make you look younger longer. You are not missing out if you don’t get fillers or Botox, but if you think it will make you happier and more confident, then go for it. Just be sure to find a trusted, reputable doctor who can help you achieve exactly what you want. Everyone has many questions before going for a botox treatment. Most of the questions were covered here. Thank you for the post. Getting botox treatment is widely increasing now a days. It is important to research first and get proper consultation. Helpful post yours is. Thank you for sharing it. Good content. Thank you for this botox information it really helps. Keep on sharing. Thank you Renee for this botox information it really helps. I’m going to share this to my friends who wants to do some botox injection. 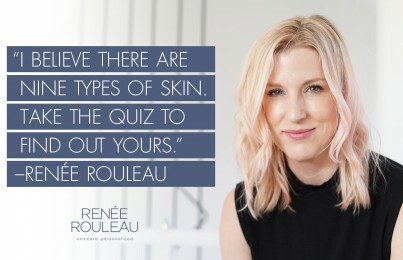 Take my skin type quiz to see which products are best for you. Thank you Renee for all of the helpful tips you share. I was concerned though with the tip on having the doctor save some of the syringe for future. Once the syringe is opened it should be used because storing an opened syringe is not sterile. I would not put anything in my face that is not guaranteed sterile. Hi Tricia, the needle is what is sterile and a new one should ALWAYS be used. But regardless, most offices won’t save it for future use since most doctors don’t feel it’s worth their time to have someone come back in for a quick touch up. I personally see a nurse (who doesn’t charge as much as the doctor she works for) and she gladly will save it for me, as she does for all of her patients.